What will Dame Kiri sing on Maui? Dame Kiri Te Kanawa will sing a variety of arias, art songs, and folk songs to please a diversified audience in Maui in her first performance in the Hawaiian islands. Anne Ku compares music to food and guesses the programme selection. My non-music friend expressed his reservations in going to see Dame Kiri this Saturday evening. Actually I can think of many people who can’t wait to be asked to go with me to see Dame Kiri. One soprano in Amsterdam already wrote an unsolicited “I’m so jealous! Dame Kiri and then daiquiri on the beach!” There are three sopranos on the island that I would dearly like to enjoy the evening with: one upcountry, one in Kihei, and one in Lahaina. While it’s “safe” to go with someone who already sings and enjoys classical music, I occasionally like to make a social outing of it such as with a friend who may never attend such an evening without my invitation. I might then be taking a risk going with someone who knows nothing about music. But then, how did I begin? 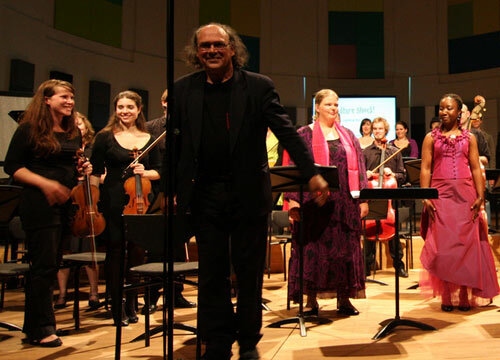 How will classical music appreciation expand beyond the incumbent? It’s up to the existing fan base to introduce it to others. Classical music is an acquired taste. Opera even more so. A German friend introduced me to opera in London when I was 30 years old. He took me to Holland Park to see one of the most popular and accessible operas, Mozart’s Cosi Fan Tutte. I was more affected by the audience and the outdoor venue than what was going on stage. He tried again with Janacek’s less accessible Kat’a Kabanova which sealed my lack of affinity for a decade. When I was assigned to write a short chamber opera by my composition teacher, I forced myself to go to opera. After reviewing seventeen operas, I daresay I love opera. In my “Opera for First Timers,” I suggested to go to a concert of opera highlights. This is precisely what I expect of Dame Kiri’s Hawaii debut this weekend. Her concert is not an opera. 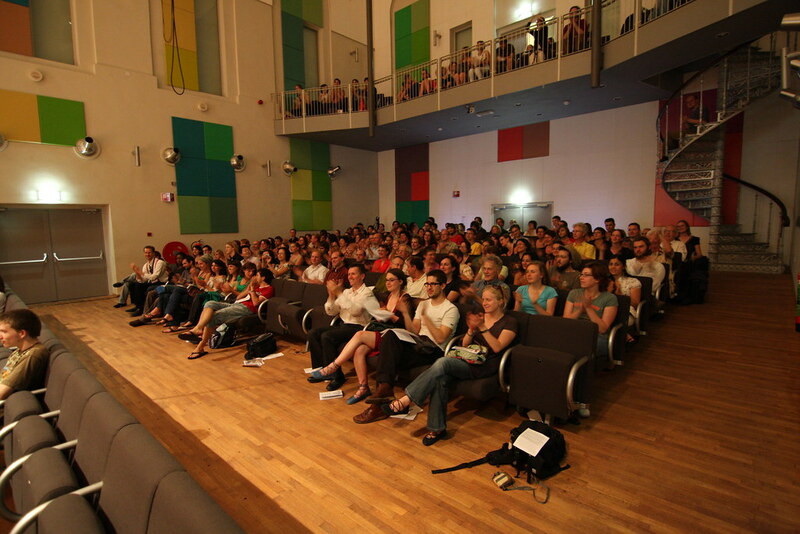 The programme is a mixture of the best arias from famous operas and other kinds of works such as art songs and folk songs. There is enough variety to whet the appetite of anyone who is not an opera aficionado. It’s the same with food. When you’re new to Chinese cuisine, go experience dim sum. When you’re new to Spanish food, go for tapas. 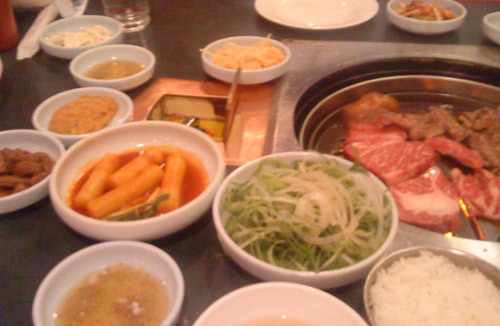 There are equivalent Mediterranean mezes, Indonesian rice tables, Korean kim chi, and conveyor belt sushi and sashimi. Dame Kiri’s concert this Saturday in Maui is not exclusively opera. I repeat. It’s not an opera. It’s a variety show, a taste of the best of everything, and those pieces that have stood the test of time and distance. It’s not just her voice but also how she expresses herself when she sings. That’s what I shall look forward to. While I have no idea what exactly she will be singing, I’d like to postulate that she will sing the following — many of which are my favourites. Author BLOGmaidenPosted on September 29, 2011 September 29, 2011 Categories audience, composer, composition, concert, culture, food, personality, photos, research, travel, venuesTags Castle Theatre, classical music, dim sum, food, Handel, Hawaii, Kiri Te Kanawa, MACC, Maui, meze, Mozart, opera, Puccini, Rinaldo, Tapas3 Comments on What will Dame Kiri sing on Maui? 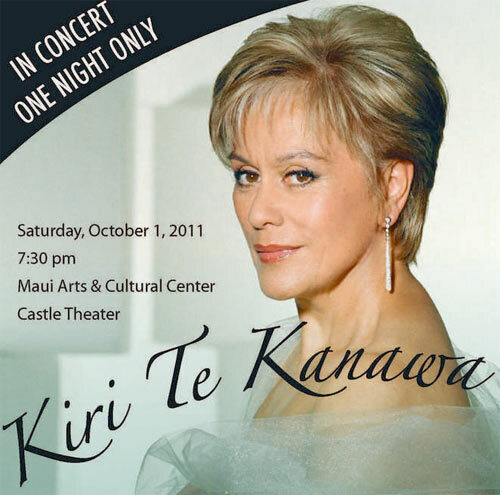 Dame Kiri Te Kanawa comes to Maui on Saturday 1st October 2011 to give a recital with pianist Terence Dennis at the Castle Theater in Kahului. Shortly after I returned to Maui in mid-August 2011, I checked out the classical music scene here. It was bare — or I should say “nil” compared to what I have been accustomed to in Amsterdam, Utrecht, and London. However, one name stood out. I had to take a second look. The legendary soprano from New Zealand? Dame Kiri who sang at Prince Charles and Princess Diana’s wedding? The most beloved soprano in Britain? Having lived in London for most of my adult life, I had heard of Dame Kiri long before I started going to operas and definitely long before I began writing concert reviews. I loved that I knew how to pronounce her name from years of listening to Classic FM Radio. She was one of those beautiful megastars that I never imagined my luck being in the same room with, let alone the same island. In Maui, where classical music concerts are few and far between, everyone who loves classical music flock to the only show in town. And Dame Kiri’s is, literally, one night only. I had to count to five before answering. While she may be a household name in London, she’s virtually unknown to surfers and those outside of the classical music scene. As last weekend passed, I mentally registered that I had missed the chance to see her. Today, I learned that I had gotten my dates wrong. She will give a concert in Oahu on 29th September and then fly to Maui to perform at the Maui Arts and Culture Centre (MACC) on Saturday 1st October 2011. The MACC on Maui is equivalent to the Concertgebouw in Amsterdam and the South Bank Centre in London with its suite of three concert halls. The announcement on Hawaii Public Radio mentioned that these will be her first performances in Hawaii. For those who have not heard of Dame Kiri — just google her. Watch youtube videos of her performances of her opera roles as the Countess in the Marriage of Figaro, Pamina in the Magic Flute, and as Tosca, to name a few. She has turned full circle from her teenage years in pop music in New Zealand to opera roles in London to art songs, expanding to broadway and beyond. Here’s a nice video of a rehearsal of Kiri with Andre Previn and others. Watch her TV interview in London and another on the challenges of being an opera singer. Watch Dame Kiri’s moving performance of “Ach Ich Fuhl” when she received the prestigious Lifetime Achievement in Music awarded at the Classic BRIT Awards 2010. On Saturday 1st October 2011 at 7:30 pm at the Castle Theatre of the Maui Arts & Cultural Center, Dame Kiri and accompanist Terence Dennis will perform selections from composers Mozart, Vivaldi, Handel and Puccini opera as well as art songs from France and Germany, and folk songs from England and South America. I am very curious what those selections will be. In my next blog post, I shall postulate. Henk Alkema was a prolific composer. Not all his music are catalogued on his website though you can hear many mp3 recordings. Henk Alkema was working on his last opera “Job” when I visited him last. On Friday 22nd July 2011, I told him that I had gotten to know the music scene in Maui where I would return in mid-August. He showed me the flute concerto that had not been premiered. He showed me a waltz that he was sure Americans would love. He showed me an unpublished piano duet that he orchestrated for ensemble. I asked him for piano solo works so I could introduce unfamiliar works among more familiar titles to new audiences. He had plenty. One summer he was busy arranging music for the Metropole Orchestra. He was also giving private composition lessons. The last time he played at the Monument House Concert Series was the last set “Dichter op Muziek” at the Glass Vase Concert with Anna Schweitzer (cello) and Marianne Verbrugge (vocals). He had accompanied Harm Vuijk on the piano for his new euphonium concerto “All in Good Time” at the Piano as Orchestra concert in 2006. As I write this blog, I am listening to the beautiful voice of his daughter Femke Alkema singing some of the songs he told me about. Henk’s website has full mp3 clips of his works. 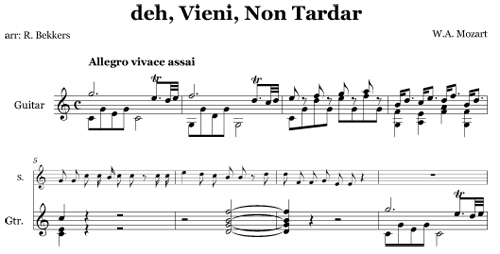 The muziekfragmenten page contains the vocal pieces with piano. They move me to tears. Henk had not catalogued all his works on his website. 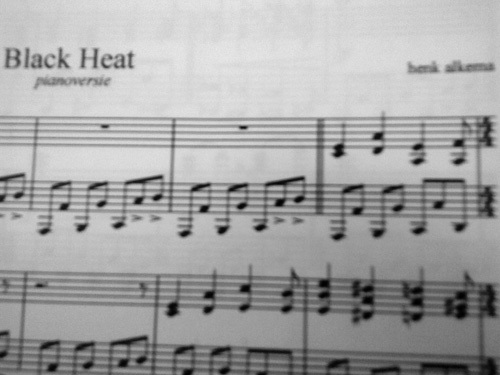 When he showed me the piano version of “Black Heat” I recognised it. He had given me a copy in 2008 but I had never tried it. I found the recording on his “Nog meer muziek” webpage. He wrote “Black Heat” for concert band. Sample scores are available here. 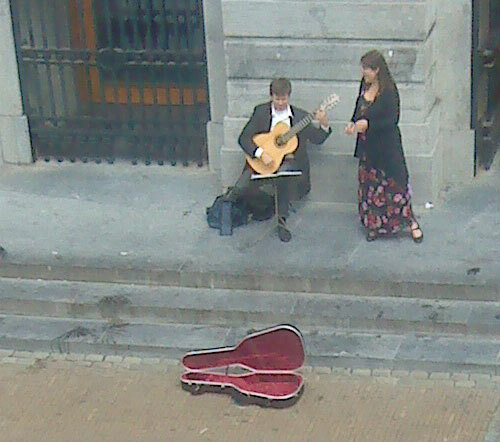 Soprano and her guitarist accompanist play one more set for an eager listener in Utrecht — the secret garden near the Dome Tower. On Friday 5th August 2011, I spotted two musicians cycling to work. Traffic was hectic on the cobbled stone streets of Utrecht, Netherlands. “Where will you play next?” I asked the guitarist eagerly. “I think we’re done for the day,” he turned to the singer. “Oh! But I’ve been looking for you all afternoon. Can’t you do one more set for me?” I begged. It’s unusual to hear opera arias outside of a concert hall or an opera production. It’s even more unusual to hear a soprano with a classical guitarist, amid the accordeonists that dominate the streets of this ancient Roman city. I led them to a secret garden on the right side of the dome. I had visited there once during a walking tour. Guitarist Robert Bekkers and soprano Mirella Reiche had obviously not seen this garden. They decided to try it. Soon the music drew people into the garden. They were busking on this warm, sunny afternoon in Utrecht. The setting of the secret garden made it into an outdoor concert. The people who were already sitting on the benches refused to leave. Meanwhile, newcomers strolled into the garden to listen. 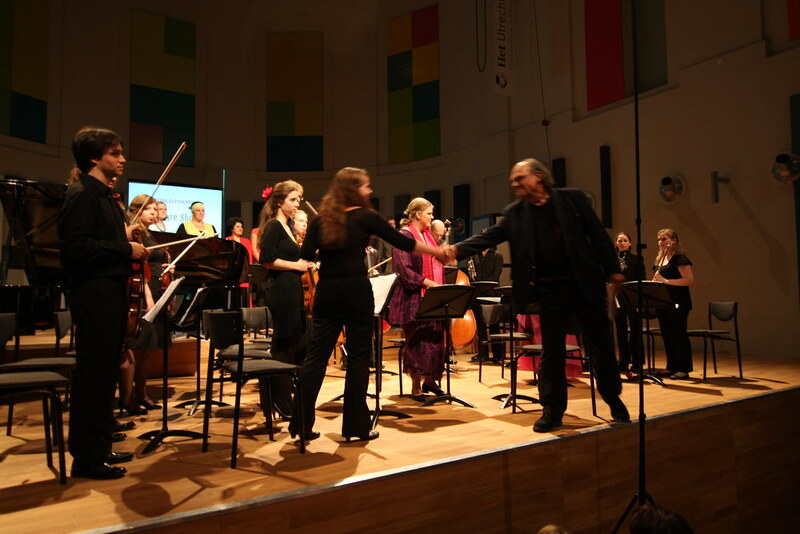 Robert Bekkers arranged the guitar part for this “Ach, Ich fuhl’s” aria from Mozart’s Magic Flute. The duo introduced this new programme this week. Robert Bekkers arranges music from the great opera arias for classical guitar to accompany Dutch soprano Mirella Reiche for outdoor performance in central Utrecht, The Netherlands. It is preparation for his upcoming solo guitar concert in the Hague. “I am going to play on the streets of Utrecht,” Bekkers the Busker declared. It’s not about how many coins he will collect in his guitar case. I recall reading articles on the economics of busking in an academic journal. After all the transaction costs of concertising in established concert venues, busking works out just as well. An economist worked out the economics of busking in London. Here’s another one about busking in New York City. I remain skeptical how much money you can make from busking. But then, you don’t need to book a venue, do publicity, etc. I have seen Mirella Reiche perform live on several occasions. She is very expressive when she sings. I can imagine her leading the crowd from joy to sorrow, from love to rage — all the emotions the great divas have expressed through the timeless arias of famous operas of Mozart, Puccini, and others. Over coffee today I told a friend about Bekkers’ busking activities. “I think I heard someone sing yesterday. I was at the central library.” That’s where they were. It’s the best training for a live performance, because it is a live performance in front of listeners who are free to come and go as they please and donate as they wish. In other words, a live performance is the best preparation for the next performance. Robert Bekkers will give a solo guitar concert in the Grotekerk in the Hague (Den Haag) this Sunday 7th August 2011 at 2 pm. Free entry. Donations accepted. CDs for sale.